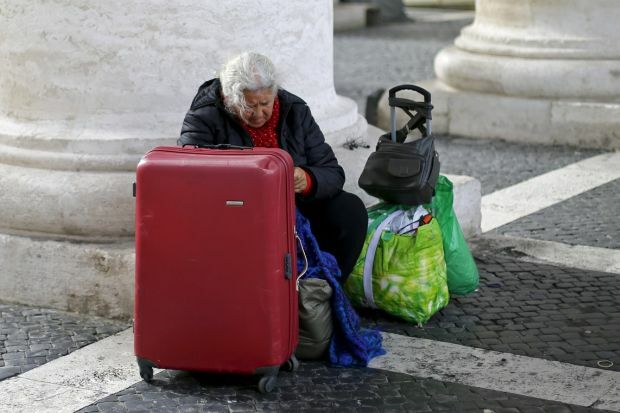 VATICAN CITY (CNS) — For an upcoming Vatican charity concert, Rome’s immigrants, poor, elderly and marginalized will be getting front-row VIP treatment, while benefactors will be seated in the back. Local charitable organizations and parishes will be bringing about 2,000 people to the concert — people without homes, refugees, immigrants and families and youth experiencing difficult situations, organizers said at a Vatican news conference April 30. Those people will be given “a place of honor” at the front of the audience hall because “in them is Jesus and for him we reserve the front row,” said Msgr. Diego Giovanni Ravelli, head of the Almoner’s Office. Msgr. Ravelli said his office received more than 8,000 requests for help last year and distributed more than 1.5 million euros ($1.68 million). The office allocates donations and gifts the pope receives as well as monies received from the sale of papal blessings. The opera, which features symphonic music, Gregorian chant and hard rock, was composed by Msgr. Marco Frisina, director of the choir of the Diocese of Rome and a well-known composer of religious music.